Part of the Bumbles collection – perfect to showcase the flower seed tokens which come with each of our cards. The Bumbles collection features adorable bee characters, celebrating special occasions with some pun-tastic messages! 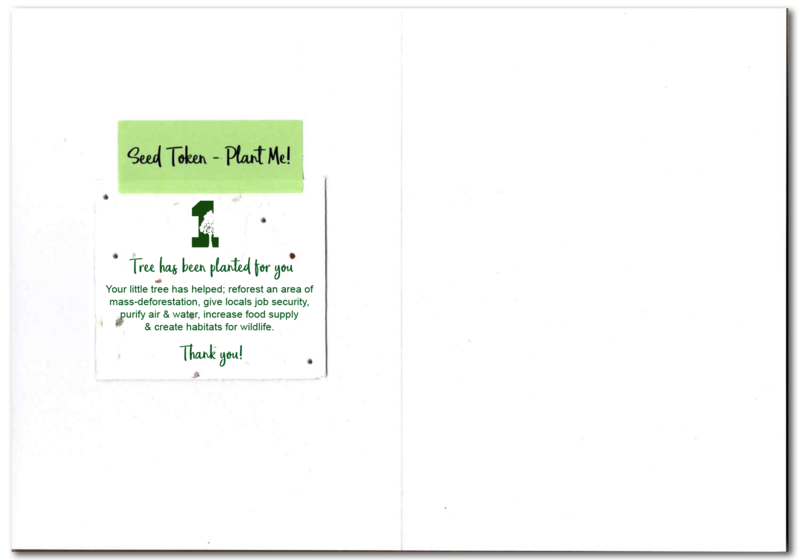 There is a sprinking of nature elements and tree puns to prepare the receiver for their tree planting message inside. With bees, trees and LGBTQIA+ options, this unique collection encompasses the essense of 1 Tree Cards.